Bartosz Smardzewski is a qualified Polish advocate. 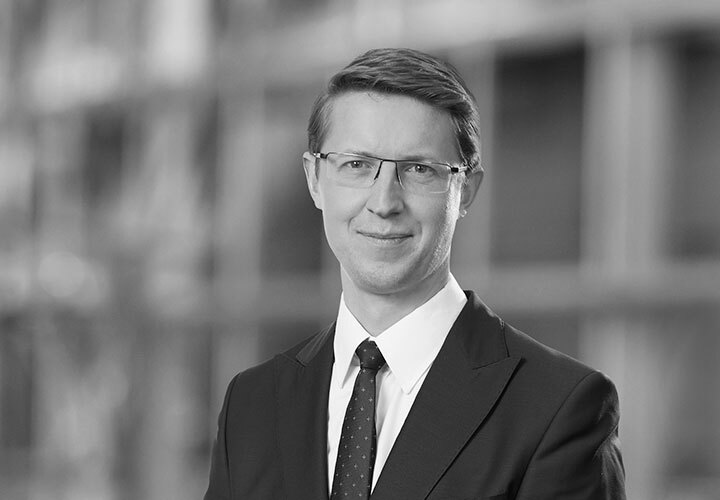 He has been involved in a number of corporate and capital markets transactions in Poland, including acquisitions of shares and enterprises, mergers, privatization schemes, public offerings and bond issues. 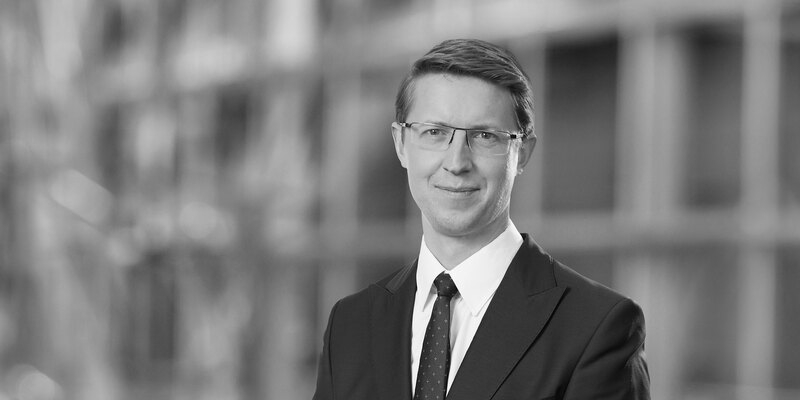 Bartosz has been recognized by the latest edition of the prestigious Legal 500 EMEA ranking in the Equity and Debt Capital Markets and Commercial/Corporate/M&A categories. mBank Hipoteczny S.A.: representation of Commerzbank AG, as lead arranger and dealer, Erste Group Bank AG, J.P. Morgan Securities plc, Landesbank Baden-Württemberg and Société Générale, as dealers, on the establishment by mBank Hipoteczny S.A. of a €3 billion international covered bond issuance programme. PKO Bank Hipoteczny S.A.: representation of Société Générale, Deutsche Bank, J.P. Morgan, PKO Bank Polski and Landesbank Baden-Württemberg in connection with the establishment by PKO Bank Hipoteczny S.A., a subsidiary of PKO Bank Polski, of a €4 billion international covered bond issuance programme. This was the first international program for the issuance of mortgage bonds established by a Polish mortgage bank under which mortgage bonds were issued based on Polish law. We subsequently acted on 3 international issuances under this programme as dealers' counsel. Ciech S.A.: representation of Ciech S.A. in connection with the process of admitting and introducing shares to trading on a regulated market in the General Standard sub-segment of the Frankfurt Stock Exchange. Synthos S.A.: representation of Synthos S.A., one of the leading manufacturers of chemical raw materials in Central and Eastern Europe, in connection with the Reg S/Rule 144A issuance and sale of €350 million 4.000% Senior Notes due 2021 of Synthos Finance AB (publ), a special purpose company of Synthos S.A.
Synthos S.A.: representation of Synthos S.A., one of the leading manufacturers of chemical raw materials in Central and Eastern Europe, in its €50 million tap offering of its Senior Notes due 2021. Kompania Węglowa S.A.: representation of Kompania Węglowa S.A. ("KW") in connection with KW's restructuring process and the establishment of Polska Grupa Górnicza Sp. z o.o. ("PGG") including, for example: (i) the sale of KW's enterprise to PGG, which included 11 mines and 4 plants, (ii) an investment agreement with investors where the investment level was over PLN 2.4 billion and (iii) a program agreement in connection with PGG's issue of bonds of PLN 1,148 billion addressed to KW's current bondholders. This was one of the biggest restructurings in Poland in many years. PZU S.A.: representation of BofA Merrill Lynch, Deutsche Bank, UBS Investment Bank, Citigroup and Goldman Sachs International as Joint Lead Managers in connection with the issuance and Reg S offering of €500 million 1.375% Guaranteed Notes due in 2019 of PZU Finance AB (publ), a financial vehicle of PZU S.A., Poland's largest insurance company in terms of gross written premiums. Echo Investment S.A.: representation of Echo Investment S.A., Poland's leading real estate developer, in connection with the establishment of a PLN 200 million Polish bond program, being one of the first domestic public offerings in Poland aimed at a pool of individual investors. PKP PLK S.A.: representation of PKP PLK S.A., the state-owned railway infrastructure operator, in connection with a PLN 2.2 billion bond issue, guaranteed by the State Treasury. Zlomrex International Finance S.A.: representation of the second largest seller of semi-finished steel products in Poland as issuer in the restructuring of its approximately €118 million outstanding New York law governed senior secured high yield notes due 2014, which were exchanged by way of an English law Scheme of Arrangement for new senior secured notes and exchangeable PIK notes issued by a new financing vehicle in the Cognor group.